I am very experienced with personality/communication styles – and I work regularly with finance, property and legal professionals. One of the key themes I started noticing was that there was a range of common challenges. Essentially there seemed to be a predisposition that those in these professions were more likely to be systematic, methodical, goal orientated thinkers (a huge asset of course) and this meant that they had a preference for guidelines, rules, frameworks, planning. Then you know where you are, right? This preference however doesn’t always translate well when one is building genuine connecting relationship with clients, staff and peers. And, as I am sure you know, communication and the ability to connect is vital in a leadership role. In this context we are dealing with a completely different skill set which sometimes not only required, but hugely advantageous. This advantage translates into the willingness and ability to be successful at (and more importantly at ease with) wining new clients, adding value, managing conflict, motivating employees, developing innovation, taking responsibility and ownership…and much more. Actually in the bigger picture as a director or partner: if you want teams/peers that think for themselves – those who are proactive, passionate, creative, take the initiative, highly engaged with clients – then the attitude and behaviour more likely to create this is one of empowerment, openness, honesty and trust. This results in significantly more productive and engaged people, mainly because they know that they and their contribution matters. You’re Human – we are all human, fallible – including you. IF you delegate there is of course the possibility that things won’t be completed as you would have done them yourself. This may be a reality. There is also, I suggest, the possibility that things may be done better, differently or even in a way that adds value. There is much to be gained from an attitude of ‘we are in this together’ as opposed to ‘lone ranger’. This encourages you to stretch and let go – and encourages your staff/peers to grow their skills. Question is: are you willing to trust, never knowing the outcome? I’ve been working on (for some time now) a new ‘edge’ for me – by this I mean stepping out into new ways of being and behaving that in the past have been a significant challenge for me and my leadership. I realised a few months ago how much more determined I am and, of course, my results are remarkably different. I had a tendency to be impatient, getting agitated and/or extremely frustrated when things didn’t go my way. I’d spend copious amounts of time over thinking, generally trying to work out what had happened, moaning, ranting, getting frustrated and then ultimately blaming and beating myself up. The last few months have been an amazing (and also challenging!) roller-coaster at times and I now am starting to see how different my world is when I trust myself and whatever is or isn’t happening. There is an ebb and flow when I trust and keep getting back to aligning myself with the reality that I do not, (nor do I want to these days), control anything. I can ask questions, reach out, be open hearted, open minded – however ultimately I don’t know what the future holds. There’s an openness, an allowing and powerful synergy in play when I surrender to what IS. So I have been learning a different level of patience, trust, openness and in some ways vulnerability. I am truly grateful for this very forward looking perception of growth. The knowing that whatever I find challenging, even the little things, is an opportunity for me to grow. It’s never negative in the long term, even if the events or moments seem so at the time. I now see this as a spring board to access MORE of me or to take a stand on what’s important. There’s always an opportunity to develop a new or existing quality or to remind myself that my current frame…my current beliefs or state can be changed. All it takes is willingness to step into the unknown and practise. As I type this I feel a building excitement in my chest and stomach because of the possibilities for myself and others when this part of ourselves is accessed. The part that is willing to loosen our grip, willing to risk, willing to be creative, willing to trust. I mean what’s the worst that can happen? I feel an awe and solidity in my backbone that is hard to describe but is putting a big smile on my face. AND the other great thing is I get to work on this with clients too: how can their current challenges be an opportunity to learn, to grow rather than a fault to be fixed or to condemn themselves with. Those opportunities can be powerful stepping stones to propel them forward in their leadership. Frequently the very things that they find challenging are offering a golden opportunity to be MORE of the leader that they want to be – and that they are truly capable of. Then it’s all about practise, practise, practise – and self compassion of course when things don’t go as planned. 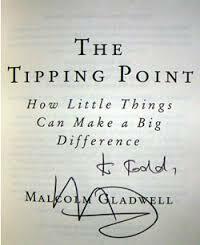 There is always a ‘tipping point’ – those little changes that over time will make a big difference. Today’s big question is…where do you demand that you know how things ought to be in your leadership, your team and your life? The Offer – what is on offer to you in your leadership growth with this challenge, at this time. What quality can you develop that will propel you forward? Learn how to release demands those on yourself and others, trust more and change your behaviour – for the long term. Step into the unknown and commit to finding out how those little changes can make a big difference in your leadership. Join me in a FREE 1hr one to one coaching session to discover how your greatest challenges can be your greatest opportunity for growth. I’ve had many conversations over the last few weeks with many people, including existing clients, who want to develop their people leadership skills. The discussions were around how to focus on the crossover from being very technically good in your field to becoming a leader – managing, motivating people and building relationships. I work with many clients who have this challenge…solicitors, accountants, finance experts, IT or digital consultants. I have a huge empathy for this journey! I started out as an accountant years ago and the skills I developed were predominantly technical, back office, in the background completing the technical stuff or writing systems reports. And the outputs in many ways were clear cut…there were set formats, ‘right’ answers, clear frameworks, regulations to check or follow. These days the skills and, more importantly, ways of being I lead with are completely at the opposite end of the spectrum. I have much compassion for clients who are making this transition in skills (and the accompanying confidence) to operate successfully at a higher level in their businesses. This can be immensely daunting – and terrifying. If you are a leader or manager in a company or indeed a partner or owner…a large part of what is required now as you move to the next level is relationship building, generating connections and new business, leading and motivating people, handling staff challenges or conflicts. 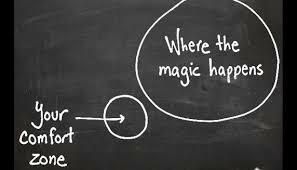 What’s required is completely different, and for some, way out of their comfort zone! Now you’re no longer dealing with rules, regulations, research, data, optimisation, frameworks, plans, sets of accounts…now there’s a great deal of letting go required…less doing, less direction, more empowerment. Now your realm is a huge set of unknowns…in the mix with all those different personalities and reactions, and of course, the unpredictability of humanity. So as well as getting yourself out there to connect and build relationships with existing or potential clients, you now need to grow you as a leader WITH your team. Skills and qualities you may not have exercised much before such as trust, intuition, clarity, vision, purpose, being visible, openness, having honest conversations, saying no, delegating, patience, emotional resilience, compassion…are calling you out on a daily basis. Listen In – to your thoughts…how are you telling yourself you need to be? And what are you expecting the outcome to be? Check-In – with those expectations…and assumptions…often we make judgements or assumptions about what’s expected of us or others. Or we can hold a ideal expectation of ourselves based on what we see as the ‘perfect’ person or solution. How do you know that these assumptions or expectations are true? Be Yourself…Be Curious! – be courageous and be yourself, let go of expectations. 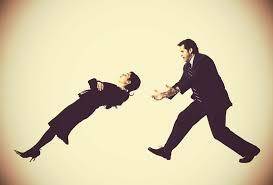 Interact as you normally would, ask questions, be openly curious about others or the situation. This is especially important if you have a team. What’s their take, what do they want? What do they think the solution(s) are? Learn how to transform your willingness to be courageous, get past those expectations about yourself and others. Step into the unknown and step up to the next level in your leadership. And learn how to develop skills that will transform you from uncomfortableness to curious excitement. Join me in a FREE 1hr 1:1 coaching session to discover how to make this powerful and empowering transition. Vision – Enrol or Persuade? I’m teaching a Power of Purpose course at the moment and a very fundamental challenge came up on the 2 day – how do we get people on board with our vision and what we want to create? How often do we get into having a mental master-plan without actually sharing this or indeed sharing ourselves in the process? We may have an amazing, worthwhile, stonkingly good, powerful vision – however what do we do when there is a lack of take up? People aren’t even getting into the conversation let alone stepping up and saying a big YES! There’s a lack of enthusiasm, lack of response, it seems as if nothing is working and our wonderful vision (which is going to create an amazing result by the way) is going to fall flat on its bum – or at the very least not be anywhere near what we really wanted. When did our hope and want turn into an expectation and a demand? The balance was tipped, we went from the birth of our vision with a flurry of enthusiasm and excitement…and then reality hit and we have tumbled into frustration and resignation. There is a big difference between ‘getting’ people on board and ‘enrolling’ them into a vision. The former carries the air of expectation, demand. The latter is more of an open aspiration that we want to share and create with others. Takes a lot of trust doesn’t it? To put a vision out there and hope that others see something inspiring in our heartfelt want to create something new or different. 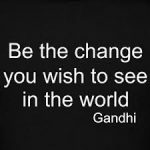 Creation – share what you want to create…what’s the difference you want to make to yourself, others, the organisation, the world? What is the impact of the new or different vision? Support – how do you want people to be on board? What does that look like? Invite people to step up, get involved and contribute. If you want people to take on leadership, creative, collaborative or other roles – say it so they know what you want. Go for it!! No holding back.